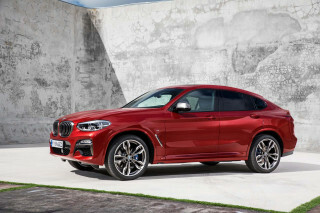 BMW is set to spin off M editions of its big crossover coupe, the X6--but as of now, there's no plan to dial up the performance of the X4. The 2015 BMW X4 drops the off-roading, cargo-carrying pretense, and goes for what some BMW owners really want: attention. 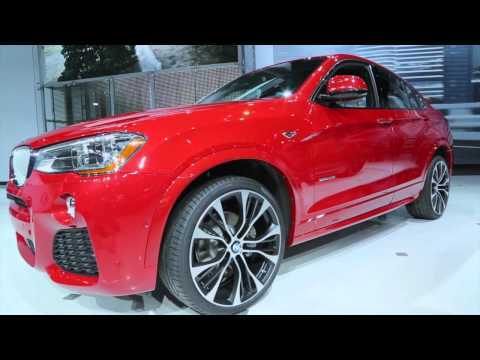 The BMW X4 is new for the 2015 model year, and it doubles down on the German automaker's success with the X6--its first foray into the hazy world of coupe-like crossovers. Assembly takes place at BMW's U.S. facility in Greer, South Carolina, alongside the X3, the X5 and the X6. 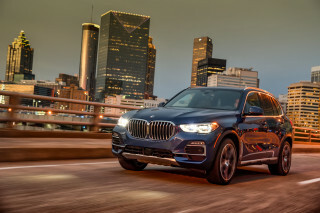 With its slicked-back roofline and choice performance upgrades, the X4 is targeted at drivers who might shop for a Porsche Macan or a Range Rover Evoque, possibly even a Lincoln MKC. Like the X6, the X4 purposely hones down the rear end of a more traditionally shaped sport-utility vehicle, to give it a more stylish stance. On initial glance the X4 does a better job of smoothing out its roofline than does the X6--but the more seat time we spent with it, the more difficult angles we found, particularly at its thick rear haunches. The break in the shoulder line, and the break of the C-pillar, is meant to cue drivers of the performance to come--to give it some distance from the recently facelifted X3. Inside, the X4 offers a similar design to the X3, with aluminum and wood trim--or a choice of an M Sport or an xLine package. The M Sport adds special paint choices, M-badges interior trim, bigger wheel-and-tire combinations, and sport seats; xLine does the same visual changeup, with a glossier bent. 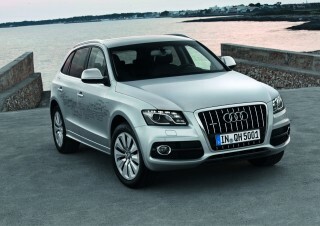 In the U.S., the X4 offers the same powertrains as the companion X3. The base powertrain combines a sweet-spinning turbocharged 2.0-liter four rated at 240 horsepower with an equally talented eight-speed automatic in the X4 xDrive28 model. 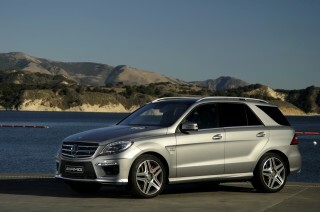 The more powerful turbocharged 3.0-liter straight-six X4 is good for 300 horsepower in the X4 xDrive35i. With a Driving Dynamics Control system, you can select between several 'attitudes,' like Eco Pro, to best fit your priorities. BMW estimates 0-60 mph times with the X4 xDrive28i owners at 6.0 seconds, the X4 xDrive35i, in just 5.2 seconds. 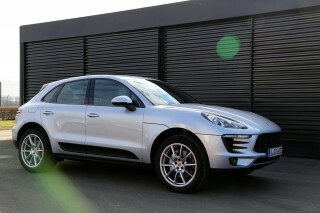 No M version has yet been confirmed, which leaves the Porsche Macan Turbo as our go-to choice in this class. All X4s come with all-wheel drive. BMW's xDrive splits power 40:60 front to rear, but can send up to 100 percent of the power to the rear wheels as traction varies. It's a performance-based system, not an off-road, ruggedized setup. The X4 also rides on a similar independent suspension setup as the X3. Variable electronic steering has variable effort and ratio, and the X4 can sift through various levels of green, comfort, and sport driving modes. BMW's Performance Control is standard on the X4; it uses stability-control input to damp an inside wheel to improve cornering. The X4 displays its driver-control status on its center display. We spent our seat time in the X4 xDrive35i. If you're looking for a major performance difference from the X3, keep looking. 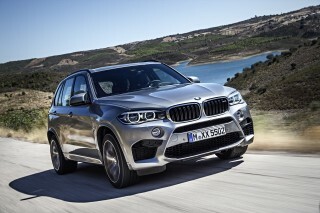 The coupelike iteration of BMW's mid-size SUV is a half-inch or so longer than the X3, and sits 1.5 inches lower. The lower center of gravity doesn't change the X4's handling behavior noticeably, but incrementally, it feels a bit sharper. Like the X3, it's athletic and agile for its size, and doesn't have much discernible nose drive or excessive body motion in deep corners. 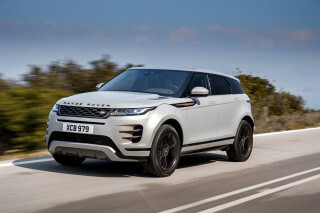 We highly recommend the adaptive dampers ($1,000), which can be dialed through Normal, Sport and Sport Plus modes through the Driving Dynamics Control system. 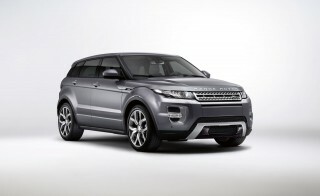 It adjusts not only the dampers, but the throttle, transmission and steering feel according to the selected mode. The X4 is a BMW, so it's not a surprise that it feels best in Sport mode, where the electronics set up swifter steering responses and tauter ride feel. The X4 gets BMW's variable-ratio sport steering standard; it has a relaxed on-center feel, good stability at higher speeds, and we think, a little more feedback than the stock Servotronic units in X3s we've driven. Stop/start is standard, and sometimes can send shivers through the X4. But it helps lift gas mileage, which is rated by the EPA at 20/28 mpg or 23 mpg for the turbo four, 19/27/22 mpg for the turbo six. Like the X3, the X4 has an ECO PRO mode that can shut off the car's gas when the driver releases the throttle, allowing it to coast. In overall footprint, the X4 isn't quite identical to that of the X3. It's still a three-seater in back, but BMW's sculpted the seat cushions to give preference to two passengers. Passenger space remains fine for adults in front, and the second-row seat suffers only marginally from the headroom issues you'd expect in a low-roofed X3 spin-off. Cargo space is down slightly as well, but still checks in at 17.7 cubic feet behind the back seat, or 49.4 cubic feet behind the front seats--enough to haul home a sofa table. It's accessible via a power tailgate, with an option for Smart Opener--the system that uses sensors to detect a foot waving under the rear bumper, and to trigger the tailgate to open. The X3 has been a good safety performer, but no official data is yet available for the X4. It does include plenty of airbags, and options for adaptive cruise control, a forward-collision and a lane-departure warning system, and BMW's bank of 360-degree, surround-view cameras. Parking Assistant lets the X4 steer itself into parallel parking spots while the driver attends the controls as a backup. BMW's iDrive and the high-contrast, wide-view screen are standard on the 2015 X4, while navigation is an option. When it's fitted, the iDrive controller also gets a touchpad surface, so destinations and other inputs can be entered as handwriting. All X4 utes also get paddle shift controls, sport steering, rear parking sensors, and a leather steering wheel. BMW Apps are among the available features; Apps connects smartphones to deliver streams from Pandora, Rhapsody, and Stitcher, among others. 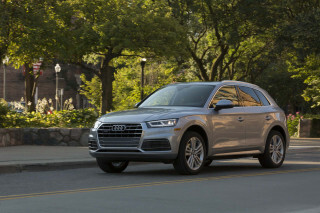 Other standard features include a synthetic-leather interior (the real stuff is a $1,450 option); steering-wheel multi-function controls; a power tailgate; wood trim; rear parking sensors; automatic climate control; Bluetooth and USB connections; and power front seats. Major option packages include the M Sport group ($2,300, with sport seats, sport steering wheel, aero kit, and higher top speed); the xLine group ($1,500, including 19-inch wheels and gloss trim); a rearview camera, for $700; surround-view cameras and blind spot monitors, for $1,900; adaptive cruise control, $1,200; and a $3,150 tech package that bundles navigation, a head-up display, and real-time traffic and data services. 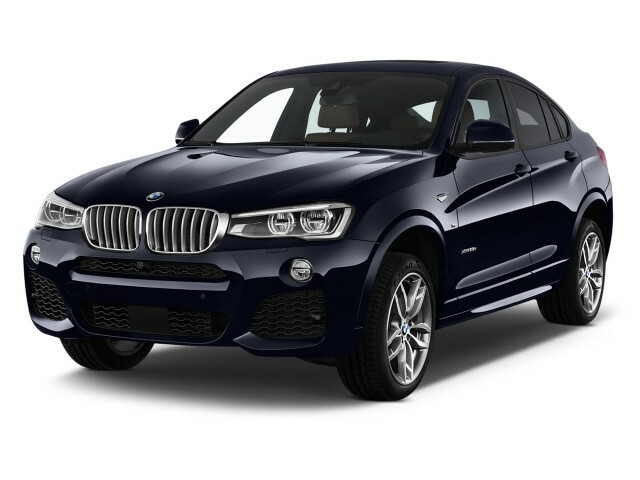 The 2015 BMW X4 is priced from $45,625 for the X4 xDrive28i and $48,925 for the X4 xDrive35i.